We are red diesel suppliers in Brighton. 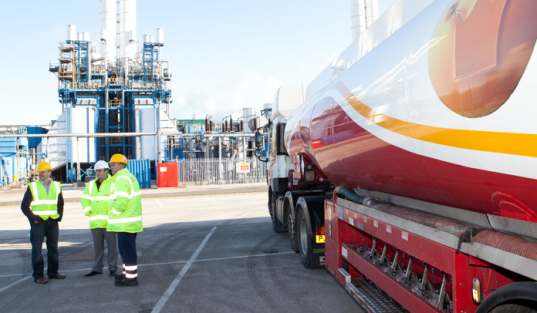 We specialise in nationwide fuel deliveries and can arrange emergency out of hours red diesel deliveries if necessary. Competitive prices and on time fuel deliveries is our priority. Nevertheless, we only supply the highest quality fuel available. Brighton is one of many cities where we deliver red diesel on a regular basis. Our customers range from construction sites to factories and schools. We guarantee not to beaten on service. Our customers know they can rely on us. Call us Now on 0845 313 0845 for more information or to arrange an emergency red diesel delivery. Red diesel is simply diesel with red dye added to prevent it being sold for use in automotive diesel engines. Diesel can be used for fuel to heat homes as well as fuel to be used to run diesel engines in automobiles. Diesel suppliers charge a higher fuel tax when purchased for use in running vehicles than when used to heat homes. Using the red diesel to run the automotive engine is considered a criminal act and inspectors can easily make the detection because of the red dye. Otherwise, a chemist would be the only one able to decipher the difference. Farmers are sometimes allowed to use the red diesel in their tractors while clearing snow from public roads. When looking for diesel suppliers in the area of Brighton, the sea side town located in England, an online search produces several locations by entering red diesel Brighton. Crown Oil serves the coast line from Worthington to Hastings all the way up to Crawley. They deliver and have stations available with canisters for those not able to wait for a delivery. Listings for other biodiesel companies across the UK can be found online and listings for the Crawley, West Sussex area are also available if you need to reassure yourself that Crown are offering the best price. Heating Oil is also delivered in the area, though the focus of the company has and always will be red diesel. They offer free quotes on their site and delivery 365 days a year. Crown Oil, not only has an online quote form, but describes the different kinds of red diesel available for sale. Online research can reap the benefits of a list of the distributors for red diesel and their locations in the Brighton area. Knowing the area firsthand makes it easier to locate the diesel suppliers and make the right choice for your purchase.